If you come to Santa Fe and don’t explore the surplus of hiking trails, were you even in Santa Fe? Our city is one of the top destinations in the Southwest for hiking with dozens of trails to choose from. Spending a day hiking is a great way to experience New Mexico and discover pure relaxation in nature. Of course, it is important to be prepared for your full day in the New Mexican wilderness. This guide will not only clue you in on some of the best Santa Fe hiking trails, but also provide tips on what to bring and things to expect during your adventure. Find more Santa Fe hiking trails and other local attractions when you request our free Chimayo Vacation Guide! It’s filled with all the best things to see and do during your getaway to the Southwest. Atalaya Mountain in Santa Fe is a 6 mile out and back trail that leads you through the lovely aspen forests. The journey ends on a mountaintop with a stunning mountain view. It is considered an easy hike and exemplary for families on an afternoon excursion. Dogs are also welcome on the trail as long as they are kept on a leash. The Dale Ball Trails in Santa Fe, NM are the way to go if you want to spend most of the day exploring. Consisting of nearly 23 miles of hiking and mountain biking trails, you’ll embark on an unforgettable trek through some of Santa Fe’s most striking regions. These trails are considered moderate and may not be the best choice for beginners. If you’re up to the challenge, however, we believe this adventure is ideal for Santa Fe hiking. The Aspen Vista Trail in Santa Fe is a lightly-trafficked route through the Santa Fe National Forest. It is rated as a moderate trail, meaning it may become difficult for beginners. Many explorers are attracted to this trail for its length and natural features including wildflower fields, a river, waterfall, and lake. The Chamisa Trail in Santa Fe is a moderate-level hike through the mountains of Santa Fe. The best months to embark down the trail are April-October when the weather is typically warm and beautiful. Although it is primarily a hiking destination, mountain bikers can also get their fix on the trail. Known as one of the jewels of the National Park system, Winsor Trail is a challenging yet rewarding journey. The 13-mile trail winds its way through stunning pine forests, alpine meadows, and along meandering streams. It’s a relaxing and scenic trek through nature that everyone needs to experience at least once! Just as nature can be beautiful and inviting, it can also be unpredictable. 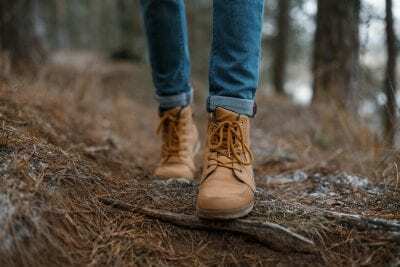 When you’re preparing for a trek into New Mexico’s forests, having the right supplies will keep you comfortable during your hike and could save you from a potential disaster. Located just north of Santa Fe, our secluded and charming bed and breakfast is the ideal getaway for those seeking rejuvenation and comfort. We will find our lovely inn in the historic village of Chimayo, home to the famed Sanctuario de Chimayo and Rancho de Chimayo restaurant. Our guestrooms are adorned with traditional New Mexican antiques and provide guests with intimate space and luxury. You will also enjoy a delicious daily breakfast, exclusive vacation packages and specials, and convenience to all the best local attractions. Book your next getaway to Casa Escondida today! Don’t forget to download our free Vacation Guide to help you start planning your ideal vacation.